BEST OF THE REST: As amazing as I hope The Occasional Saler is/will be, there are a plethora of awesome resources around the web; ones that I find especially titillating, I’ll share with you! The Chinoiserie commode! The vintage-Florentine-looking oil painting, the oversized fruit tree branches! To see more, see the full profile on DesignSponge here. 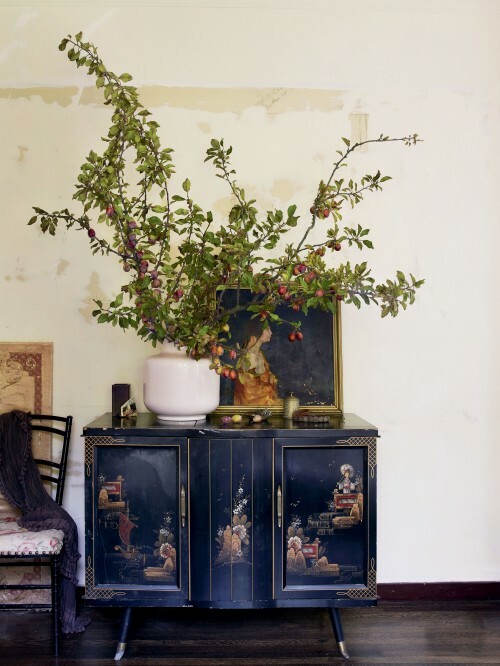 This entry was posted in Best of the Rest and tagged Bringing Nature Home, Chinoiserie, decorating with flowers, DesignSponge, Floral Arrangements Inspired by Nature, Florentine, Ngoe Minh Ngo. Bookmark the permalink.